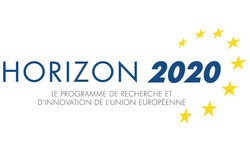 Voici ce que dit la Commission européenne au sujet du Brexit et de la présence de partenaires anglais dans les projets H2020. On the 23 June 2016 the UK held a referendum on whether to remain part of the EU. The results of this referendum showed a vote to leave by a small margin. One of two things can happen. 2) The UK Parliament can disagree and either outright ignore the result or request another referendum. Let’s assume for the moment that the UK does indeed leave the EU, what will this mean for the EU projects? Firstly, there will be no difference for projects that have signed Grant Agreements. In addition, there is a 2-year period where the UK Government negotiates with the EU some sort of Association agreement. During the negotiations, the UK remains a member on exactly the same terms as today. In short, do not panic. Let’s wait and see what the UK Parliament will do. En résumé, pas de panique, rien ne change pour l’instant. Laissons les parlements se positionner sur cette question.